Home » an academic » Facts » kids resources » Knowledge » Myths » People and History » Places and Travels » Planet Earth » Science » Weather and Climate » Gandom-e Beryan; Officially, the Hottest Place on Earth! Gandom-e Beryan; Officially, the Hottest Place on Earth! The Earth has a lot of warm places: forest fires, lava flows, iron foundries, the inside of your toaster oven, nuclear reactors, and so forth. But, if we're just talking about regular old sun-heats-the-Earth climate and weather, where on the Earth's surface is hottest? Some might say "Death Valley," which isn't a bad guess, as the 56.7°Celsius temperature observed 100 years ago on July 10, 1913—at aptly named Furnace Creek—remains, according to official weather statistics, the highest temperature ever recorded. However, weather stations measure air temperature in the shade about a meter and a half above the ground. As you know, if you've ever walked barefoot across a beach on a hot day, surfaces in direct sunlight can be a lot hotter than the air just above them. Plus, there are only 11,119 official weather stations scattered across the globe, which equates to only 1 station every 13,000 square kilometers, or about six on average for an area the size of Scotland (not that Scotland is a leading candidate for heat waves). It Should Somewhere in the Desert? Super hot places like deserts are particularly harsh and remote. These make weather stations impractical and even less common. So, to find the true hottest place on Earth, we need an army of meteorology students to install and monitor thermometers on every inch of the planet. Also, we could measure the temperature of the Earth from space—which NASA does, every day. The Terra and Aqua satellites carry instruments called spectroradiometers which detect the infrared radiation, that is, the heat, radiating from the Earth's surface. Their resolution isn't amazing, since the satellites measure temperature averaged over each square kilometer of the globe. However, that's still 13,000 times better than weather stations. Then, Which Place Won the Hottest Title? The winner for hottest square kilometer on Earth? Not Furnace Creek - it only clocked in at 62.7C. 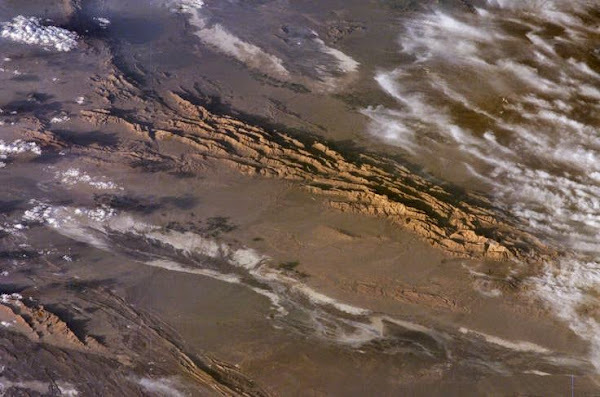 Not the "Scorched Wheat" plateau in the Dasht-e Lut Desert of Iran, either, despite repeated claims to be the hottest place on Earth. However, its close - a nearby portion of the Dasht-e Lut Desert (Gandom-e Beryan) is the winner at 70.7C, or 159.3F. That's one degree hotter than you need for the proteins in an egg yolk to coagulate - that is, to cook. No need for your toaster oven - breakfast is served. Thank you for reading Gandom-e Beryan; Officially, the Hottest Place on Earth! posted on the website Kwentology if you want to redistribute this article please include the link as the source. Have some kuwento to share? Contact us!